Saturday I got to check out some exhibits in the city. I was so inspired that I spent the next 24 hours drawing. I miss drawing. This is the first drawing I have done on paper in about 2 years which is crazy. I used to draw all the time but now-a-days it's hard finding the time and for me, if I don't keep up with drawing I get real rusty. This was done on water color paper with India Ink and Micron Pens. I would like to share the accomplishment of my good/old friend Robert Morris. 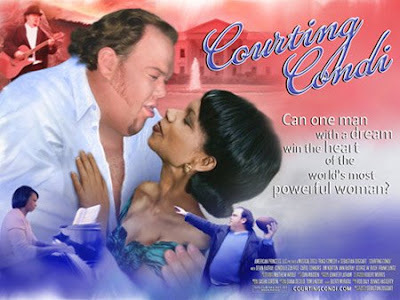 He was the VFX Supervisor and Co-Producer on the film "Courting Condi" which has been nominated for Best Picture, Best Director and Best Performance at the 2008 Orlando Film Festival. I'm super happy for Robert. I've always admired his ambition and talent and it's nice to see that he's getting recognition for his work (not that this is the first time). I like that Robert is not one of those people who just talks about doing something he actually follows through on things which I find is kind of a rare quality these days. Anyway, check out the trailer...... www.courtingcondi.com and then go check out the movie, I believe it's coming out next week. Congrats Robert.